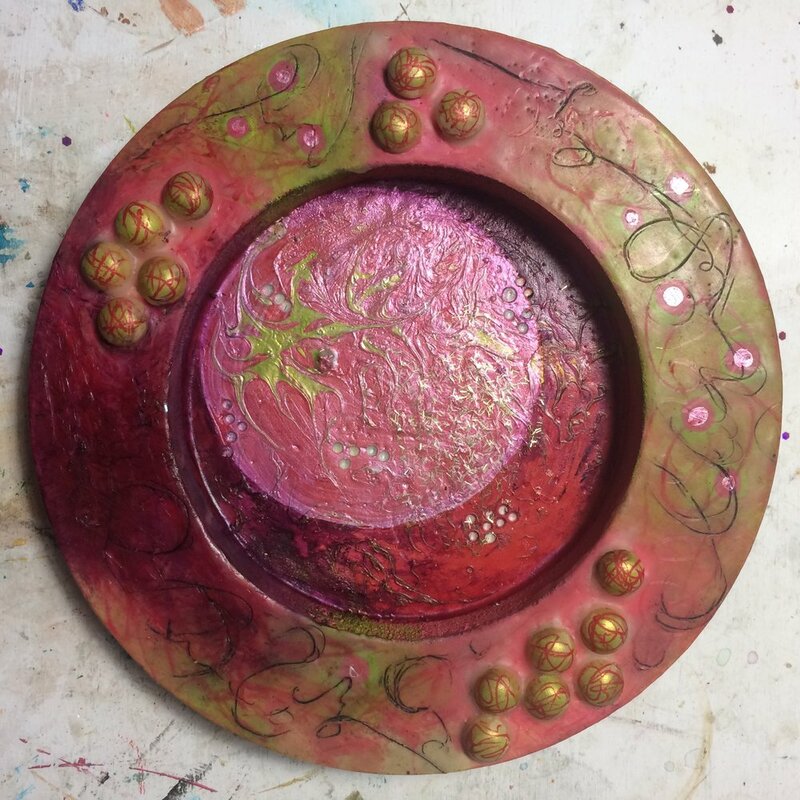 (A) Start, Red laquer, acrylic paint, dusting of gold pigment. (K) Wood pegs, drilled dots. (A) Reverse painted pebbles and glitter. 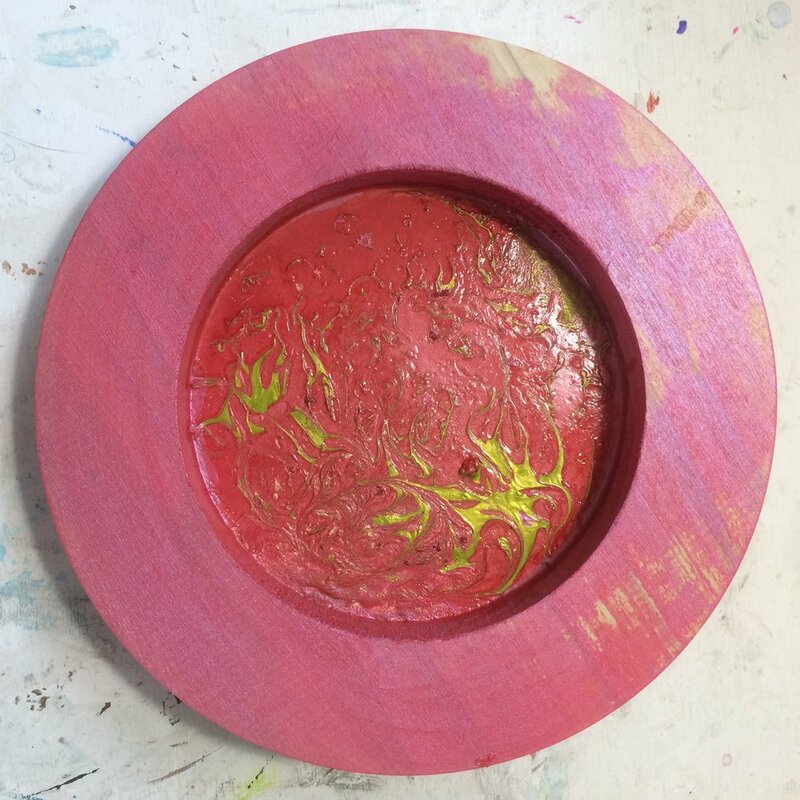 (K) Wax, inscribed and rubbed with pigment stick. (A) Iridescent circle and wax pencil scribbles, acrylic, matte medium. 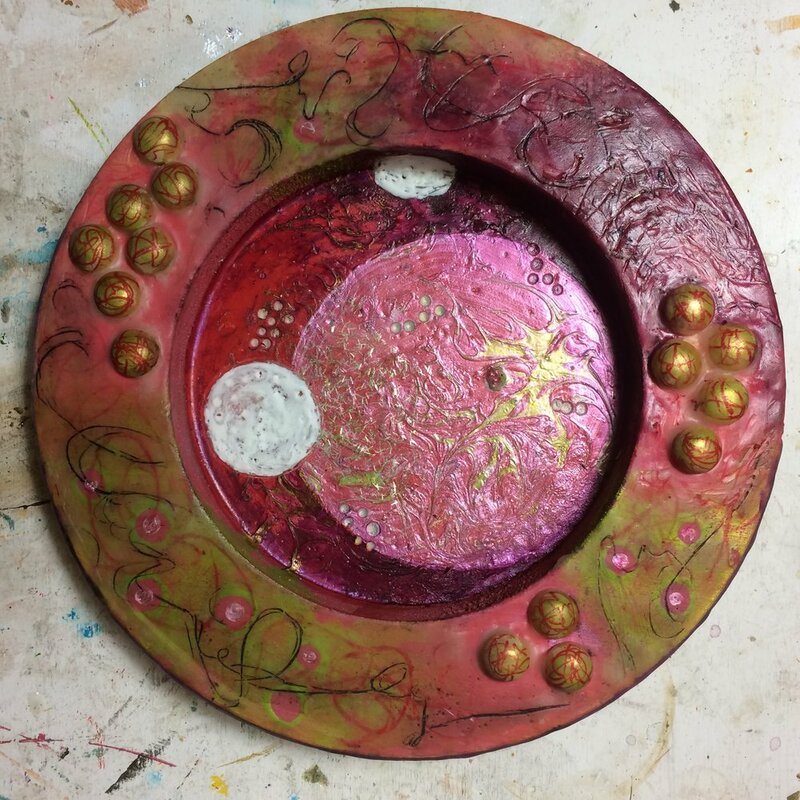 (K) White wax circles, purple wax with red pastel, inscribed with pigment. (A) Green glitter, drilled glitter, pouring medium.